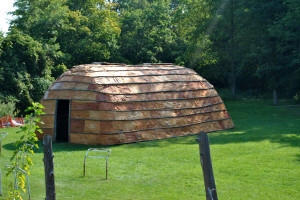 Longhouses were built with a frame of saplings supported by large posts in the house interior, typical longhouses were covered with sheets of bark such as elm bark and birch. Openings at either end were used as doors, while openings in the roof acted like chimneys, letting the smoke from the fires out. Fireplaces or hearths were spaced down the length of a central corridor in the house (an average of 1-6 fires), and were flanked with two platforms: the lower for sleeping, and the upper for food and storage. 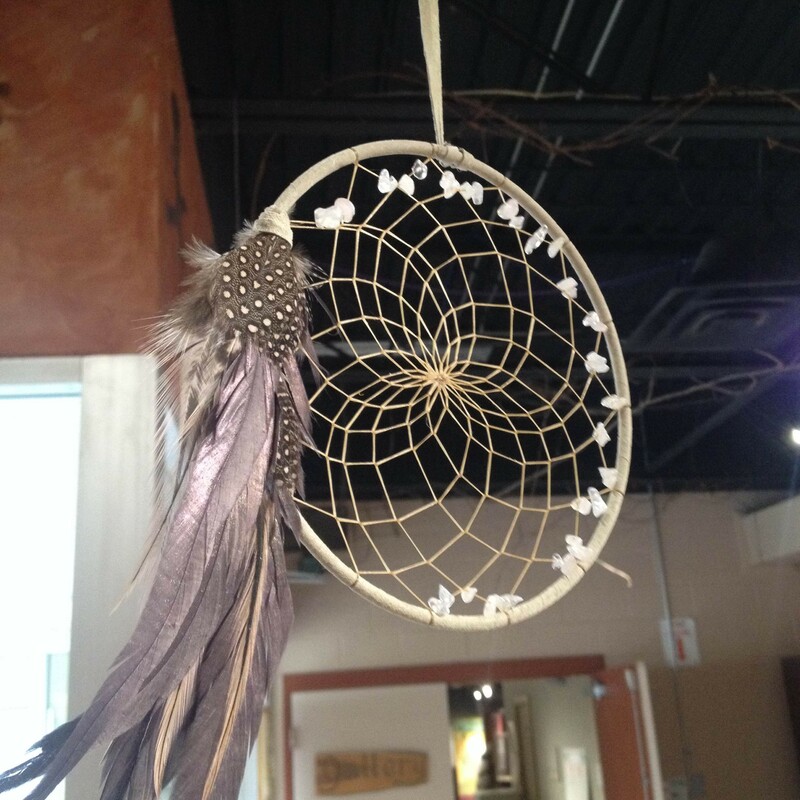 Dream catchers originated in Ojibwa culture. 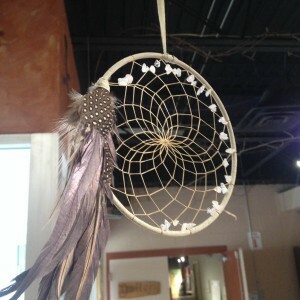 In the mid 1800s, early explorers recorded dream catchers being used to protect infants from illness and evil spirits. A dream catcher is a handmade object that consists of a willow hoop with a woven sinew net or web on the inside of the hoop. Within the webbing, beads, charms, and found objects may be woven in. Anthropologists recorded the use of dream catcher charms amongst the Ojibwa, however it has also been found that Crees and Naskapi also employed charms for protection.